The Elton Prize is awarded by the British Ecological Society each year for the best paper in the Journal of Animal Ecology written by an early career author at the start of their research career. Early career is defined as less than 5 years post- Ph.D. or -D.Phil. experience according to the date of your graduation certificate, reasonable exceptions will be considered (e.g. for parental leave or a substantial shift in research area). The winner of the Elton Prize will receive £250, membership of the BES, a year’s subscription to the Journal of Animal Ecology, and a contribution to the costs incurred in attending the BES Annual Meeting in the UK if they wish to give a presentation on their work. The winner is selected by the Senior Editors of the Journal at the end of each year and an announcement is made the following year. If the first author of a paper considers that they are eligible for this award they are invited to nominate themselves when submitting a revised manuscript. Charles Elton led the way in conceptualizing ecological pyramids as a way to describe how feeding relationships are structured in ecological communities. Since his pioneering work more than ninety years ago, animal ecologists have made great theoretical and empirical strides in documenting both the structure and dynamics of feeding relationships (e.g., food webs, food chains, etc.) among organisms. Beginning about 30 years ago, a growing number of ecologists began to explore the consequences of omnivory – feeding on both plants and animals – on food web structure. So, while we know more about the consequences of omnivory, does omnivory vary geographically, and if so, why? Cue Dr. Natalie Clay. In a crystal clear and wonderfully written paper, Dr. Clay describes how she and her collaborators took advantage of natural gradients in net primary productivity (NPP), sodium (Na) deposition, Nitrogen (N) and, climate at 20 sites in the eastern United States to test whether (and why) omnivory in ant communities varies geographically. At each site, she used a tried and true method to document foraging behaviour and resource limitation in ant communities (in this case, different resources offered in plastic vials) and coupled those observations with stable isotope analyses. After documenting the feeding behaviour of more than 18,000 ants from 72 species at 20 sites from Georgia to Maine, Dr. Clay discovered that omnivory does, in fact, have a geography. And more interestingly, when she compared the effects of NPP, Na, and N on the degree of omnivory in ants, she found that best predictor was Na availability. This is a surprising and important result for several reasons (which Dr. Clay and her colleagues describe in their paper), but chief among those reasons is the novel result that because consumers are Na-limited, geographic or temporal variation in Na availability should have cascading consequences on ecological pyramids, and the diverse suites of interactions that tie species together in ecological communities. So not only is there a geography of omnivory, but Dr. Clay and her colleagues show why. She then extends the work by pointing out that humans are altering Na deposition, and this will likely have important, and perhaps predictable, consequences on food webs, and likely the ecosystems in which they are embedded. In sum, Dr. Natalie Clay’s cutting-edge work extends Elton’s ideas and opens up broad avenues for future research on the structure and dynamics of food webs. With the aim of introducing a fairer and more robust process for choosing a winner, this year the Senior Editors decided to enlist the help of our expert Associate Editors to help choose the winning paper. To choose the winner the Senior Editors shortlisted 12 papers from the long list entrants, the Associate Editors were then invited to score the papers against an agreed set of criteria, the scores from the Associate Editors’ reports where then used to determine the winner. We are grateful to Xingfeng Si, Dehua Wang, Mariano A. Rodriguez-Cabal, Dylan Childs, Ann Tate, Daniel Ardia, Marta Rueda, Ronald Bassar, Carola Gomez-Rodriguez, Gabriel Machovsky-Capuska, Fanie Pelletier, Xuan Liu, Bethany Hoye, Lise Aubry and Garrett M. Street for reviewing and scoring the papers. Natalie Clay obtained her PhD from the University of Oklahoma in the Ecology and Evolutionary Biology Program in 2013 under the direction of Michael Kaspari. Her dissertation research examined the relationship between nutrient inputs like sodium on the structure and function of detrital communities, including trophic ecology. 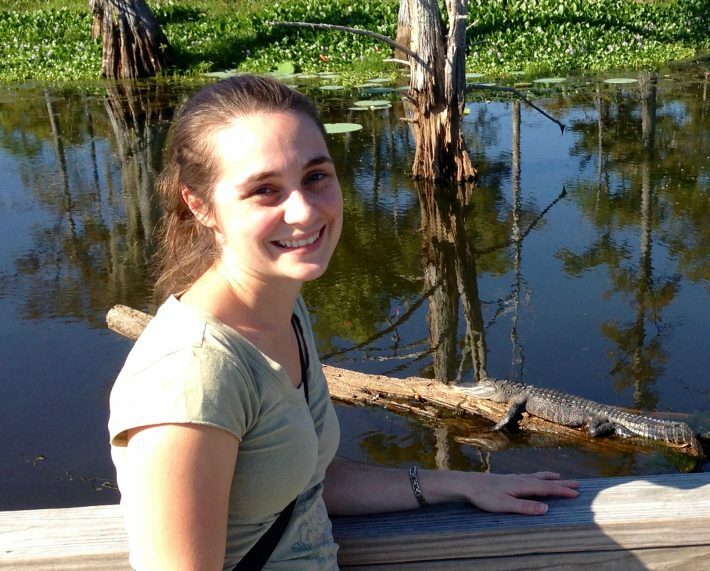 She conducted her postdoc research with John Riggins at Mississippi State University looking at the interactions between bluestain (ophiostomatoid) fungi, which is vectored by bark beetles, and subterranean termites and the impacts of these interactions on wood decomposition processes. Dr. Clay is currently an assistant professor in the School of Biological Sciences at Louisiana Tech University. The Clay Ecology Lab uses invertebrates like ants, termites and other detrital organisms to explore how nutrient availability alters detrital pathways and how multitrophic interactions impact ecosystem functions like decomposition processes. Demographic information is key for answering many of the questions evolutionary ecologists, population biologists, and scientists involved in management and conservation have to tackle. However, demographic information can be quite difficult to obtain, and results from detailed case studies that are scattered in a vast array of written accounts, including scientific papers and management reports. A tool for synthetizing the vast amount of accumulated demographic information was, until recently, lacking. Such a tool is sorely needed, especially nowadays when comparative analyses of life history traits have become a gold standard both for better understanding the diversity of life histories across the tree of life and for improving our knowledge about population dynamics of threatened (or exploited) species or populations. In this paper, Rob Salguero-Gomez and his co-authors fill this gap nicely by providing the missing tool in the form of an open animal matrix database (called COMADRE) that includes 1625 population projection matrices offering demographic information for 345 animal species. They show that, once properly standardized, demographic traits can be compiled across animal species with highly different life cycles and offer the necessary basis to support comparative demographic analyses at an unprecedentedly large scale of biological organization. The editors thought that the paper fills an important knowledge gap in animal ecology by providing the missing information to perform demographic analyses at both intra- and inter-specific levels. This paper makes an excellent contribution to Journal of Animal Ecology and it has already been spotted as a key paper by the scientific community by quickly becoming the most downloaded paper published in Journal of Animal Ecology in 2016. The editors were also impressed by Rob’s ability to coordinate so successfully this huge work that involved a large network of people. Rob Salguero-Gómez obtained his PhD in Ecology & Evolution at the University of Pennsylvania in 2011, and he is currently the leader of the SalGo Team. His group’s research explores the determinants of large natural variation found among the life history strategies of animals and plants worldwide, for which he uses a combination of field, experimental and large-data approaches. He is also the co-leader of the COMADRE Animal Matrix Database and the COMPADRE Plant Matrix Database and holds honorary fellowships at the Max Planck Institute for Demographic Research (Germany), the University of Queensland (Australia), and Trinity College Dublin (Ireland). Rob will soon be joining the faculty of the Department of Zoology of the University of Oxford, where he will continue to develop the COMADRE database, as well as exploring the role of trade-offs in the evolution of senescence, with a particular emphasis on demographic oddities, such as animals that demographically behave like plants (e.g. corals, sponges, etc. ), and plants that behave like animals (sundews, venus traps, heterotrophic plants, etc.). Read the Virtual Issue bringing together the winning and highly commended papers from all the BES journals in 2016. Charles Elton once quipped that “Ecology consists of saying what everyone knows in language that nobody can understand.” Maybe that is true for much of ecology, but it is certainly not the case with the paper by Jonathan Pruitt and Andreas Modlmeier “Animal personality in a foundation species drives community divergence and collapse in the wild.” Does everyone know that spiders have personality? And the prose in Pruitt and Modlmeier’s paper is both clear and vigorous, so readers can definitely understand it. The editorial board was impressed by the creativity of Dr. Pruitt’s work, its rigor, and the conceptual ties it made among the sometimes disparate fields of behavioral ecology and community ecology. Indeed, this paper stood out among many excellent papers in JAE in 2015. Therefore, the editorial board is happy to award the 2015 Elton Prize to Dr. Jonathan Pruitt. Pruitt and Modlmeier examined how personality in the spider Anelosimus studiosus influences a suite of other spider species over 7 years in the field. Either aspect of the study – examining the extended consequences of personality in A. studiosus or tracking spider community dynamics for 7 years – would be interesting enough. But what Pruitt and Modlmeier showed was that the spider communities associated with webs of docile A. studiosus individuals differed from those associated with webs occupied by aggressive A. studiosus individuals, at least initially. Numerous other studies, mostly in plants, have shown how variation among individuals can lead to cascading community- and ecosystem-level consequences, but much of that work has failed to examine the temporal dynamics of communities associated with particular phenotypes. Here, Pruitt and Modlmeier, because they tracked these communities for seven years, are able to examine early succession, convergence, and ultimately the collapse of spider communities. They conclude that it is possible to use the traits of these initial spider species to predict the rate and path of succession, divergence, convergence, and collapse among the rest of the spider community. In sum, these clever experiments and persistent sampling yield novel insights into how the behavior of individuals scales up to influence the dynamics of communities. We now know that such links are common in nature, but few studies have characterized the links so explicitly. This kind of ecology is the kind of ecology that more people should know about, and they will, because it’s written in a language they can understand. Jonathan Pruitt performed his graduate studies at the University of Tennessee, Knoxville under the direction of Susan Riechert. He then conducted postdoctoral studies at the University of California, Davis with Andy Sih and Jay Stachowicz. He is presently an assistant professor in the Department of Ecology, Evolution and Marine Biology at University of California, Santa Barbara. The Pruitt Lab’s research explores the ecological consequences of individual variation in behavior for individuals, populations, and communities. His lab uses a variety of invertebrate models, especially social spiders, to address these topics. More deeply, the research considers the role of individual variation in structuring patterns of task allocation within societies and how these patterns impact the long-term performance of groups in contrasting environments. In non-social systems, Pruitt and his lab consider how variation in behavior impacts species interactions within and across multiple trophic levels. These studies have been conducted in a variety of both terrestrial and marine systems. 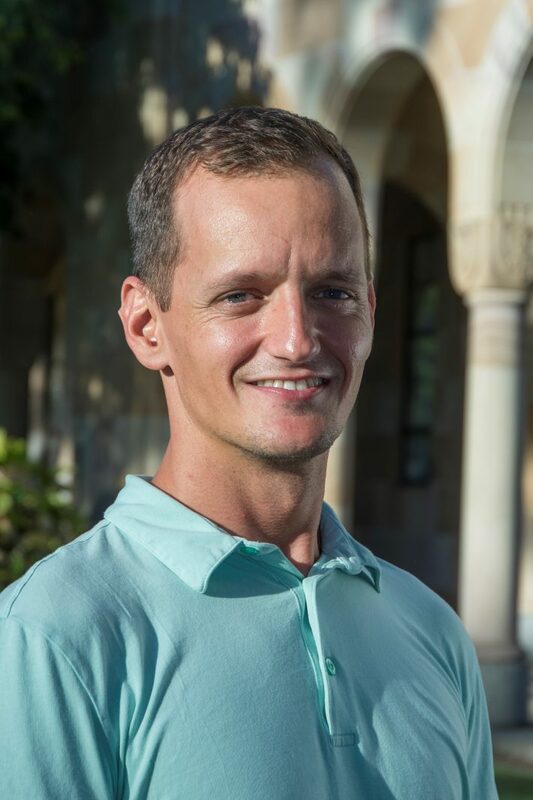 The 2014 Elton Prize winner is James Maino for his paper Reconciling theories for metabolic scaling co-authored with Michael R. Kearney, Roger M. Nisbet and Sebastiaan A.L.M. Kooijman (Journal of Animal Ecology, 83: 20–29). Our Elton Prize winner, James, was the lead author of this paper and the editors were impressed that this was his first publication written when he was still in the first year of his PhD. James’ PhD is part of a jointly awarded program between the University of Melbourne and Vrije Universiteit (Amsterdam). His research explores patterns in animal life-history that hold across diverse species and looks into what extent they can be explained by universal physical and chemical constraints. James utilises Dynamic Energy Budget theory in combination with large data sources on the diverse life histories of insects to develop mechanistic models of animal bioenergetics. The resulting mechanistic models explain a variety of well-known but poorly understood patterns in biology, from metabolic scaling to U-shaped pupal respiration in insects. The Editors of Journal of Animal Ecology are pleased to announce that the 2013 Elton Prize winner for papers published in Volume 82 is Chuan Zhao from Chengdu Institute of Biology, Chinese Academy of Sciences. Chuan’s paper Predatory beetles facilitate plant growth by driving earthworms to lower soil layers is co-authored with John Griffin, Xinwei Wu and Shucun Sun. In the paper, Zhao and colleagues tested the hypothesis that predators will have negative effects on plants by suppressing detritivores in a Tibetan alpine meadow, and they did this by manipulating predatory beetles and examining indirect effects transmitted through their earthworm prey. The Editors particularly liked the neat design of this experimental study and the interesting results that emerged, which did not accord with conventional theory – the authors discovered that predators actually enhanced the positive effects of detritivores on plants. Moreover, the Editors appreciated that the authors had worked to demonstrate a plausible and interesting mechanism to explain this counter-intuitive result: a non-consumptive effect, by which the largely aboveground predatory beetles drive earthworms deep into the soil in a bid to escape predation risk, leading to increased porosity, water content and available nutrients in the otherwise barren lower soil layer. Overall, this work also adds a completely novel aspect to the highly topical issue of how predators influence plants and ultimately ecosystem functioning in terrestrial ecosystems. The paper formed part of Chuan Zhao’s PhD dissertation, and he designed the experiment with his advisor, performed all the experimental procedures and examinations, and wrote the first draft of the manuscript. He is currently a research assistant in Chengdu Institute of Biology, Chinese Academy of Sciences, and plans to continue studying trophic interactions in the alpine detritus system. In fact, Chuan has recently published another paper in JAE using the same system. The Editors of Journal of Animal Ecology are pleased to announce the winner of the Young Investigator Prize 2012 for papers published in Volume 81 is Sonya Auer from the University of Montana. Sonya’s paper Life histories have a history: effects of past and present conditions on adult somatic growth rates in wild Trinidadian guppies is co-authored with Andrés Lopez-Sepulcre, Thomas Heatherly II, Tyler J. Kohler, Ronald D. Bassar, Steven A. Thomas and David N. Reznick. In the paper, Auer and colleagues examined the effects of variation in food availability across life stages on growth rates in wild Trinidadian guppies (Poecilia reticulate).The Editors and reviewers liked the elegant study system used, the detailed analyses, and the surprising and fascinating results that emerged from the investigation. The authors found that food availability and population density at different points in guppy development can have contrasting effects on adult somatic growth rate. Previous studies had only examined the effects of environmental variation within and across life stages in isolation, and thus their relative influence and subsequent importance remained unexplored. Sonya carried out this work during her PhD in the lab of David Reznick at University of California-Riverside, which she completed from in 2011. She is currently a post-doctoral researcher at Montana Cooperative Wildlife Research Unit, University of Montana. Here, her current research focuses on breeding bird responses to extreme weather events and general increases in temperature associated with current climate change. In particular, she is examining how temperature influences avian growth and development and how these effects may differ across species. Finally, she is also looking at how other breeding strategies such as nest site selection are changing in response to increased warming in the southwestern United States. Philip’s paper Contrasting patterns of individual specialization and trophic coupling in two marine apex predators is co-authored with Michael R. Heithaus and Craig A. Layman and was published in Volume 80, Issue 1, pages 294–305. This analysis used stable isotopes to reveal the generalist diet of tiger sharks versus a more specialised diet of bull sharks and, furthermore, how individuals within these species could often have specific diets, presumably linked to local resources and competition. Nelika’s paper was entitled Interacting effects of predation risk and signal patchiness on activity and communication in house mice and was published in Volume 79, Issue 1, pages 88–97. In this study, Nelika, with co-author Peter Banks, uses the house mouse to examine how the spatial distribution of conspecific scent signals and the perceived level of predation risk from cats affect mouse behaviour and overall activity across a range of spatial scales. 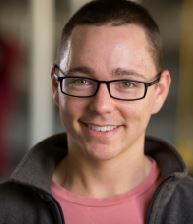 Michael co-authored his paper The sensitive hare: sub lethal effects of predator stress on reproduction in snowshoe hares (Volume 78, Issue 6, pages 1249–1258) with Charles J. Krebs and Rudy Boonstra. This is the first study in a free-ranging population of mammals to show that elevated, predator-induced, cortisol concentrations in individual females caused a decline in their reproductive output measured both by number and quality of their offspring. Meggan Craft won the 2008 Elton prize for her paper with Hawthorne P. L., Packer C. and Dobson A. P. Dynamics of a multihost pathogen in a carnivore community (Journal of Animal Ecology – Volume 77, Issue 6, pages 1257–1264). The Editors chose Meggan’s paper because her analyses evaluated different hypotheses of disease spread against empirical data from a 1994 outbreak of canine distemper in African lions. This study not only sheds light on the number of likely hosts from the lethal 1994 Serengeti outbreak, but also generalizes the role that social structure can play in disease dynamics. Meggan’s article generated considerable interest and was selected as the subject of the In Focus article in Volume 77, Issue 6 (Haydon 2008).